I always know when it’s going to rain. 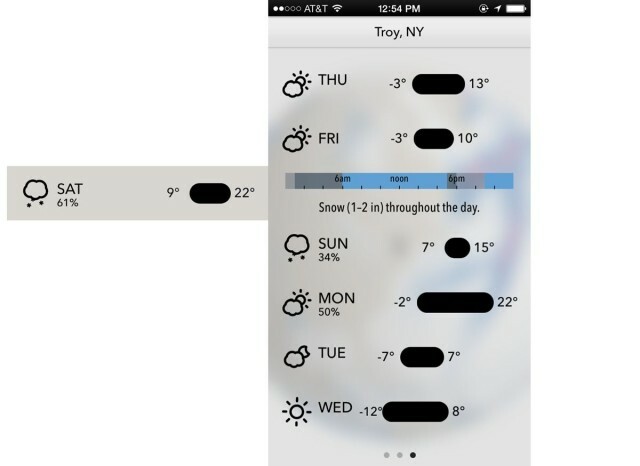 It’s not because I’m psychic, but because of Dark Sky, which I can confidently call one of—of not the—best weather apps in the App Store. 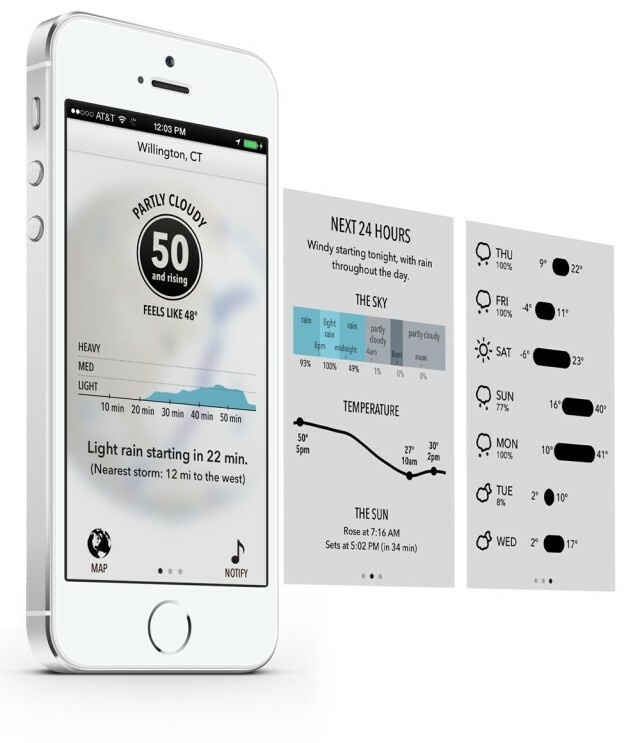 Originally funded through a Kickstarter campaign, the success of Dark Sky has brought about Forecast.io and a robust weather platform for other great apps. What does two years of development and going back to the drawing board get you? A complete redesign of Dark Sky for iOS. I’ve been using it for months, and it’s finally available in the App Store as a free update. Dark Sky has always been great at what the weather is like right now. Heck, it can even send you a push notification when it’s about to precipitate. More love has been given to the current weather layout in Dark Sky 4.0. When you first open the app, the current temperature and conditions are displayed with a nice graph of the weather over the next hour. Other data like the “feels like” temperature and your distance from the nearest storm is also displayed. For people like myself who live in an area with always-changing weather patterns, Dark Sky is a godsend. It has saved me from getting soaked so many times. If you live somewhere like the Nevada desert, it’s probably not the best weather app. But for what it does, there is no better option I’ve come across. If you’ve already bought Dark Sky, it costs $3.99 in the App Store. Existing users get this big iOS 7 redesign for free.